Delaware Wedding Planner Insurance. As a wedding planner, your job to ensure that everything for the wedding is in place so that the bride and groom can focus on their big day. This day should be a beautiful one for your clients, which is why you should try to anticipate anything that could go wrong. Although you can try to ensure that everything is in place, you may still miss some things. Things such as inclement weather, vendors not sticking to their responsibilities, injuries and a host of other things. Many of these things you've probably experienced at one time or another which is why it's important to protect yourself by having insurance. In this post, we'll discuss the different Delaware wedding planner insurance plans you can get to protect your business. 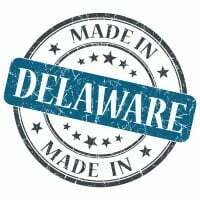 Delaware wedding planner insurance protects your business from lawsuits with rates as low as $27/mo. Get a fast quote and your certificate of insurance now. Why Do Wedding Planners Need Business Insurance? Insurance is important to your business. It helps you to protect your business from anything that can go wrong beyond your control. There are many different policies you can get for your business as a wedding planner. Let's take a look at some of the specific types of Delaware wedding planner insurance you can use to protect your wedding planning operation. Commercial General Liability: The guests, vendors, delivery persons and any other person at the location of your event can slip, trip or fall and be injured. Although you're not entirely responsible for the safety of guests at the site of your event, you still can be held liable. If you work from home, and you have client meetings there, you can be liable if a person gets injured while on your property. General liability insurance protects you from third-party bodily harm and property damage claims made against your business. If there's a lawsuit against you, then this insurance helps to cover any costs associated such as legal fees or court costs. 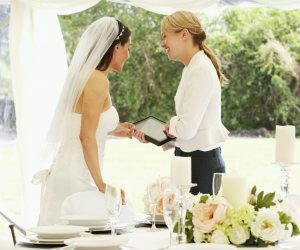 This Delaware wedding planner insurance also covers settlements or judgments and medical expenses. Professional Liability Insurance: To adequately protect your wedding planning business a wedding planner must have professional liability insurance - also know as errors and omissions (E&O). This insurance coverage protects you when a client suggests that the services you provided were not up to standard, negligent or caused them harm. This insurance covers any mistakes made in your business. When a client isn't satisfied with the services you offered, you must have Delaware wedding planner insurance to protect you if they sue you. Business Property Insurance: As a wedding planner, you should have business property insurance. By having this insurance, you protect the equipment you use for the operation of your business. This insurance protects your office equipment, files, computers, tablets, and smartphones. It also helps to cover property damage as a result of fire, vandalism, smoke, theft and weather events. If you operate from a home office, you should still include business property coverage. Your homeowner's insurance policy probably doesn't include coverage for your business property in your home which is why it's important to have this insurance. You should also include flood insurance or earthquake insurance especially if you live in areas where these types of events are common. Workers Compensation: When people work for you, it is mandated in most states that have workers comp for any non-owner employees. DE Workers comp coverage is the insurance that helps you to protect your employees. If an employee is injured while working for you, this Delaware wedding planner insurance helps to cover any expenses associated with the injury. Also if an employee dies as a result of their sustained injuries this insurance will pay benefits to the surviving family. DE Commercial Auto Insurance: As a wedding planner, you are sometimes going to use vehicles to transport equipment for your business. This makes having insurance to protect your business vehicles important. You can never predict what can happen on the road but having this insurance protects you when something does. If a vehicle you use for your business causes property damage or third-party bodily harm commercial auto insurance will keep you covered. Premises liability exposure is generally low as visitors to the event planner's premises are few. While the facility owner would be primarily responsible for any injuries to guests on the rented facility premises, the event planner could incur liability for recommending the facility to the customer. The event planner should require additional insured status and certificates of insurance from all vendors. Contracts must be clear as to all responsibilities. Workers compensation exposure can be very high if employees set up, build, or transport stage settings, equipment, lighting, and scenery. These activities can result in back injury, hernia, slips and falls, strains, and sprains. Stage and lighting setup may involve above-ground exposures that need additional protection and precautions. Adequate security and training must be provided if employees handle money at events due to the possibility of holdups. Security personnel may suffer injury not only from theft but also from unruly patrons. The event planner should require additional insured status and certificates of insurance from all vendors. Contracts must be clear as to all responsibilities. Property exposures are limited on premises to that of an office containing telecommunication equipment, computers, and printers. Ignition sources include electrical equipment, heating, and air conditioning. Electrical wiring must be up to code and be adequate for the occupancy. Off-premises property exposures are higher but are from property of others which should be covered on an inland marine bailees form. Crime exposure is from both employee dishonesty and money and securities. Background checks should be conducted on all employees handling money. The event planner consolidates vendors' bills and sends one bill to the customer. Employees who are in charge of ordering must not be the same ones who handle disbursements, deposits, and billings. Frequent inventories and audits must be conducted. If tickets are sold at events, a significant amount of cash may accumulate. There must be adequate security from guards, plus regular deposits. Inland marine exposures include accounts receivable if the planner offers credit, bailees' customers for property of others at event sites, computers, and valuable papers and records for clients' and vendors' information. The bailees' exposure can be very high because of the wide variety of equipment that must be rented to provide sound and lighting at events, plus any rented furnishings or display scenery. Business auto exposure is generally limited to hired nonownership for employees running errands. If company vehicles are supplied for use, all drivers must have a valid driver's license and acceptable MVR. There should be written procedures regarding personal use by employees and their family members. Vehicles must be regularly maintained with documentation kept in a central location. Owning a wedding planning business exposes you to lawsuits and other risks. For this very reason, you must get insurance to protect your business. You can never predict what can go wrong in your business, but you can put measures in place to protect your investment. After reading this information, you should have a better idea of the different insurance policies you can use to protect your business. Get insurance today and protect your business for a lifetime. Request a free Delaware Wedding Planner insurance quote in Arden, Ardencroft, Ardentown, Bellefonte, Bethany Beach, Bethel, Blades, Bowers, Bridgeville, Camden, Cheswold, Clayton, Dagsboro, Delaware City, Delmar, Dewey Beach, Dover, Ellendale, Elsmere, Farmington, Felton, Fenwick Island, Frankford, Frederica, Georgetown, Greenwood, Harrington, Hartly, Henlopen Acres, Houston, Kenton, Laurel, Leipsic, Lewes, Little Creek, Magnolia, Middletown, Milford, Millsboro, Millville, Milton, New Castle, Newark, Newport, Ocean View, Odessa, Rehoboth Beach, Seaford, Selbyville, Slaughter Beach, Smyrna, South Bethany, Townsend, Viola, Wilmington, Woodside, Wyoming and all other cities in DE - The First State.